On my last night in Tokyo, I made another highlight dinner reservation with the concierge at the Conrad. Since I was staying near Ginza, I had reserved for dinner at Ten-Ichi, one of the most famous restaurants in Japan for tempura. And what better to enjoy it than in the main restaurant itself. 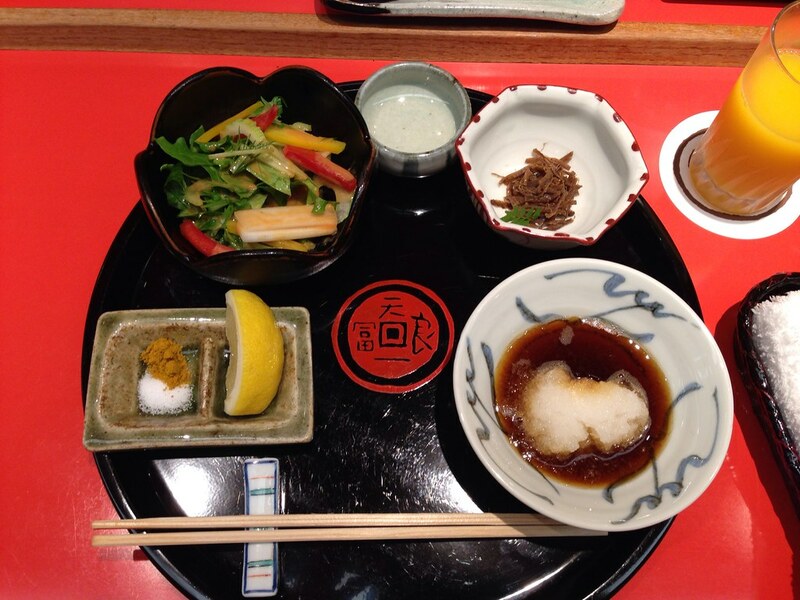 It was perhaps a 15 minute walk from Conrad Tokyo to reach the restaurant which is in the heart of Ginza itself. The main restaurant shows its age with very haphazard decor. There are several sections in the restaurant and I was brought to the lower floor towards the back where I was seated in the tempura counter. There was no other diner in this section of the restaurant though I believe the restaurant seats its guest to ensure maximum privacy for guests since I notice several groups of diners spread across various sections while walking to my seat. Once seated I was able to choose from a set menu and chose one of the mid-range with around 10-15 tempuras (can’t really remember the details fully). On top of that I ordered an orange juice for my choice of beverage. The dinner service started off with the placement of the tray in front of me. In the tray is a bowl on the right where the tempura dipping sauce will be poured along with freshly grated radish. On the left is a small platter for the lemon and tempura salt. Contrary to what I normally thought, tempura is actually best eaten with the salts and lemon instead of the tempura sauce. And the batter is not supposed to be crispy but light and soft. Behind the counter, that was what the 2 tempura chefs made. I think one of the younger chef is some sort of apprentice and the older chef started off with the prawns while his apprentice used a pair of cooking chopsticks to ensure the tempura is fried evenly. A small bowl of appetizer and a bowl of mixed salad is served before the meal though they were both very mediocre and perhaps is meant to make it a full set course experience. But the main highlight remains the deep-fried tempura here! 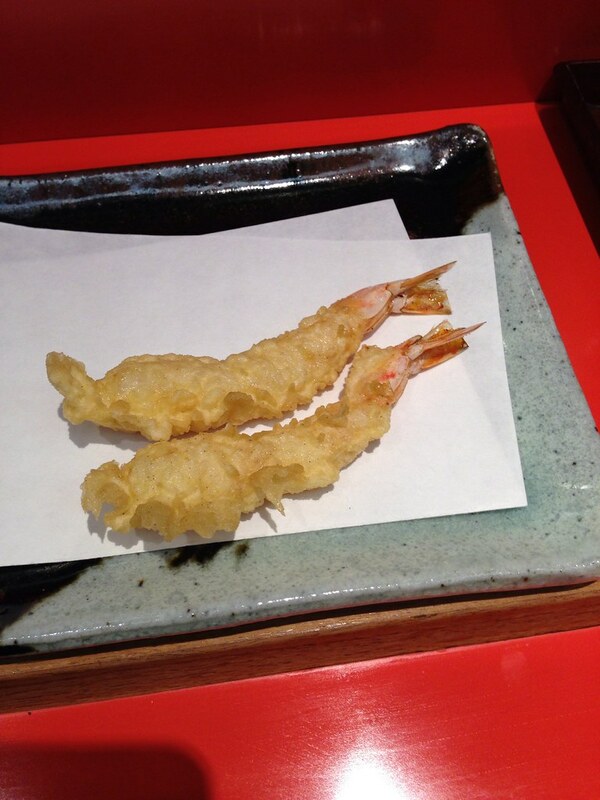 The first tempura presented was 2 pieces of prawn and the chefs encouraged me to have it with the salt first. This was what changed my viewpoint of good tempura tasting best with salt alone. You can feel the slight crispiness of the batter and yet taste the freshness of the prawns. Tempura is cooked one by one here and there is no hurry by both chefs as they place each single serving of seafood and vegetables into the deep fryer and the attention to detail increases the consistency and makes each serving hot and fresh when I place it in my mouth! 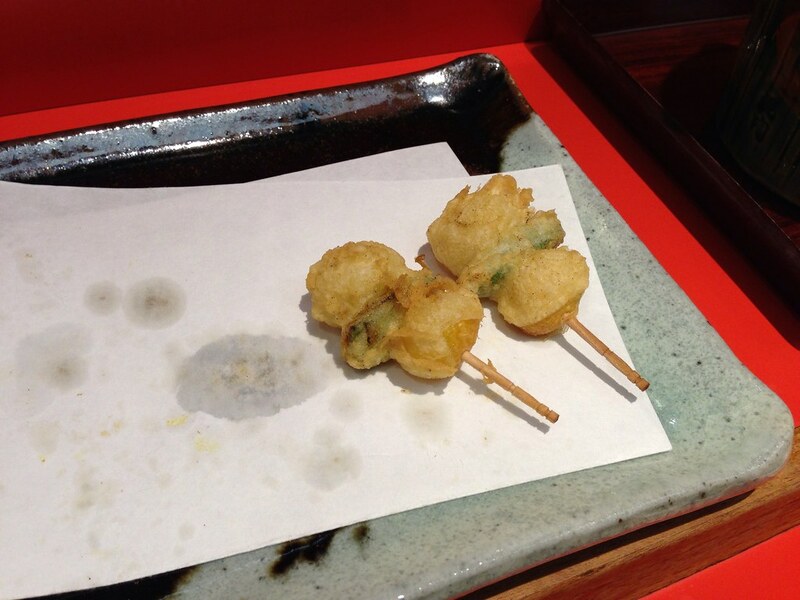 The scallop tempura came next and like the seared scallop in Misono I had, this one was as sweet and chewy. It was amazing how each tempura was fried to a nice golden colour and maintaining the flavours of the ingredients. Halfway through the meal, an American or European couple joined me but after looking at the menu there was some disagreements by the wife and they left. It was kind of weird since they were already seated and all. The course followed with gingko nut and leek tempura on skewers and probably because I am not a fan of gingko nuts, this tempura was not my favourite. 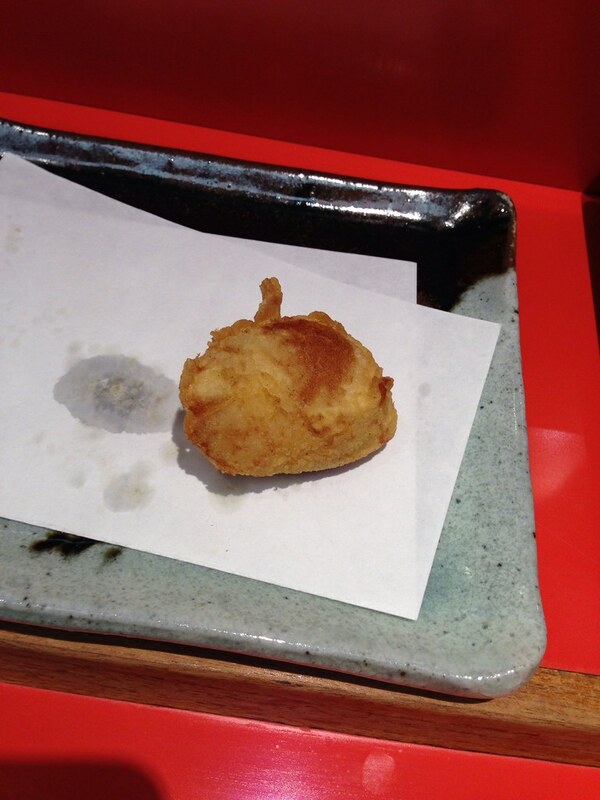 Though it was the first time I had a gingko nut tempura. I do believe the vegetable was meant to refresh the palate in between the seafood heavy course. 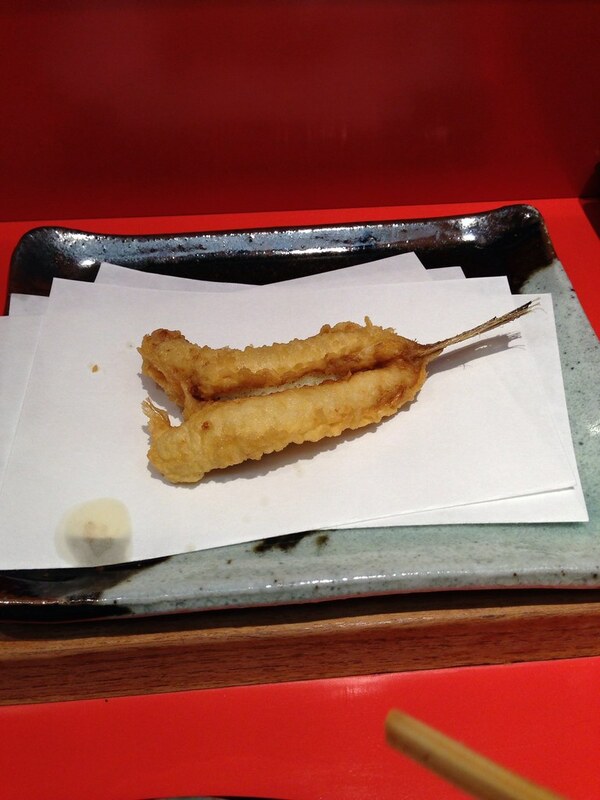 This was so that I could taste the sweetness of the white fish tempura that came next. 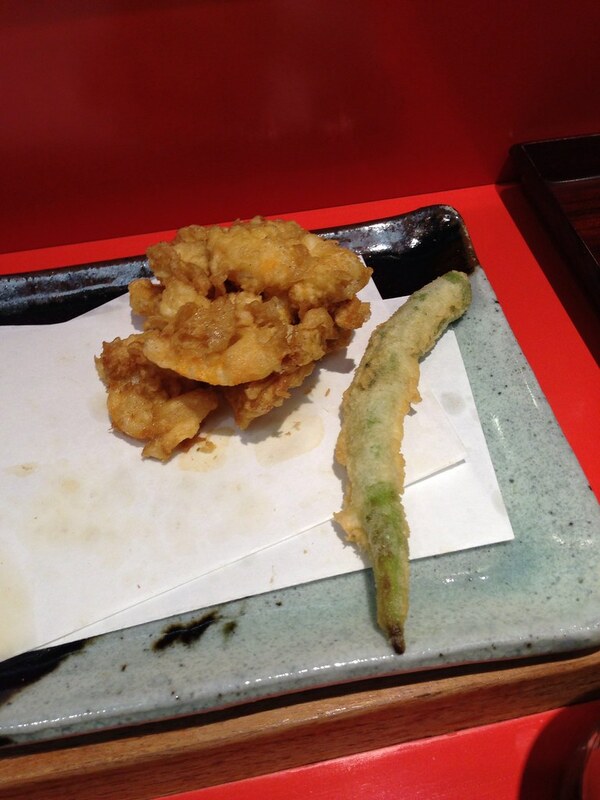 After the fish, it was another vegetable tempura of asparagus and the crunchy texture made a contrast against the soft texture of the fish. My favourite tempura though was the uni tempura. 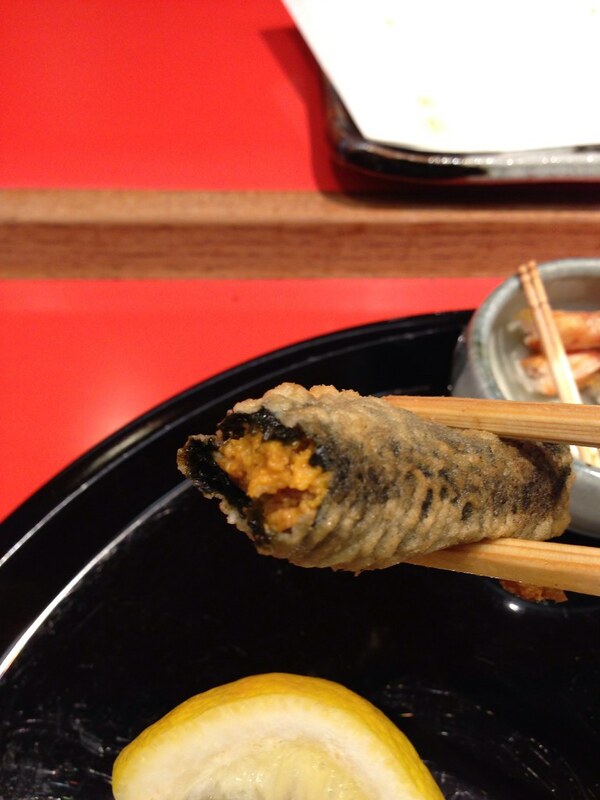 Yes, a sea urchin wrapped in seaweed deep fried to perfection. What made it even better was that the uni was sweet and the taste of uni was maintained without the bitterness of some low quality uni that one gets outside Japan. The last few tempura courses consisted of another piece of prawn, a crab leg, another large fish which has a melt-in-your mouth texture. Due to the large size of the second fish, it was quite filling and while it might look like the fish in fish and chips, the flavour and texture was milder and softer. However this was not the end of the meal since a jalapeno tempura and a shrimp cake tempura was the last of them to be served. At the serving of the last few courses the waitress offered a bowl of rice though because I was a bit full, I declined. The shrimp cake tempura was another favourite of mine and it had a lot of flavour that would probably go well with some rice but I enjoyed it as it is! 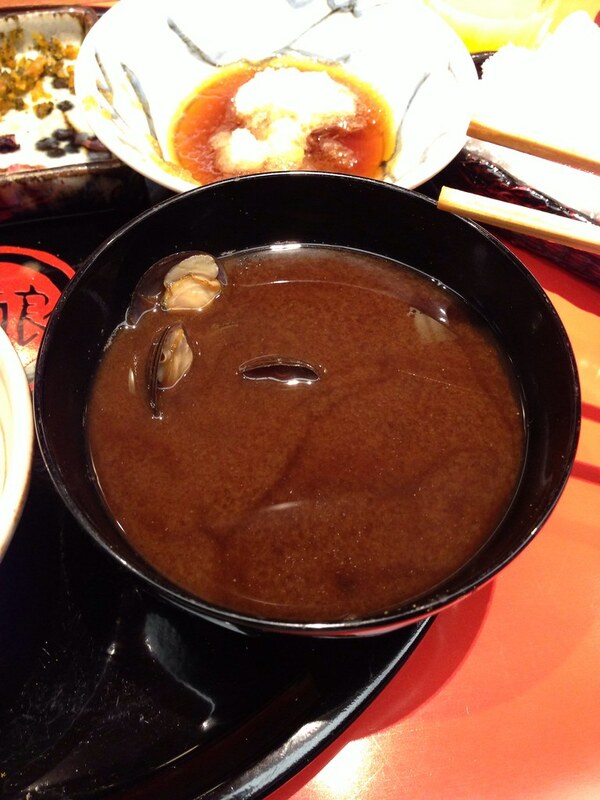 With the last of the tempura served, I was given a bowl of miso soup with clams. Since I do like shellfish, I enjoyed the soup as well to finish off the meal. When I finished, I was expecting dessert to be served, but the waitress brought me to another area as I think they needed to clean the tempura counter. 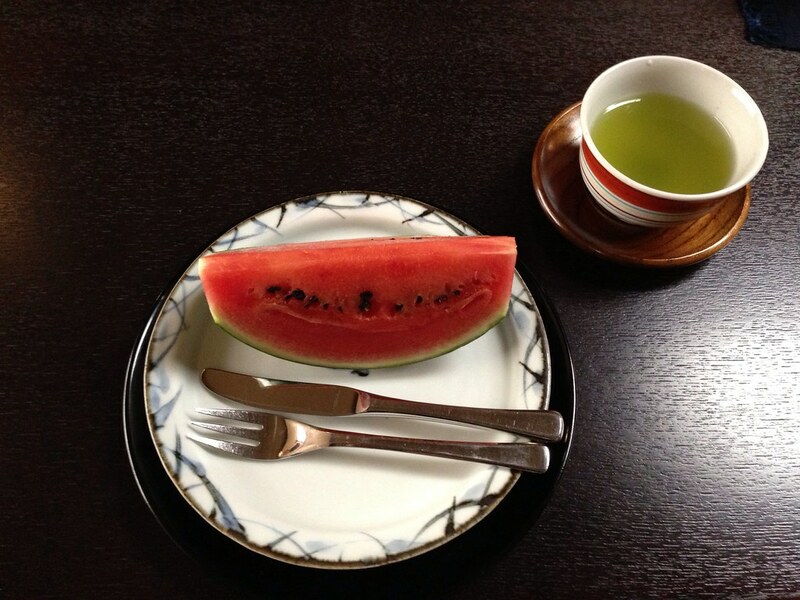 Dessert was a plate of watermelon and a cup of green tea. This was a weak offering once again considering the main meal was so good. While all the dishes were deep fried, it was amazing that it does not feel that oily and the light batter also allowed me to enjoy all of the dishes. The only weakness was the side dishes presented to diners which was average at best. As far as tempura goes, it was an experience dining here and I never knew some dishes can be deep-fried to such perfection! However for the price of around ¥14,000 for the meal, I was perhaps expecting more ‘bang’. If possible I would probably come for lunch and order the side of uni tempura since lunch prices were around ¥7,000-9,000. Looks good! I ate at Ten-Ichi Deux (their more reasonably priced outlet) a few years back and really enjoyed it. 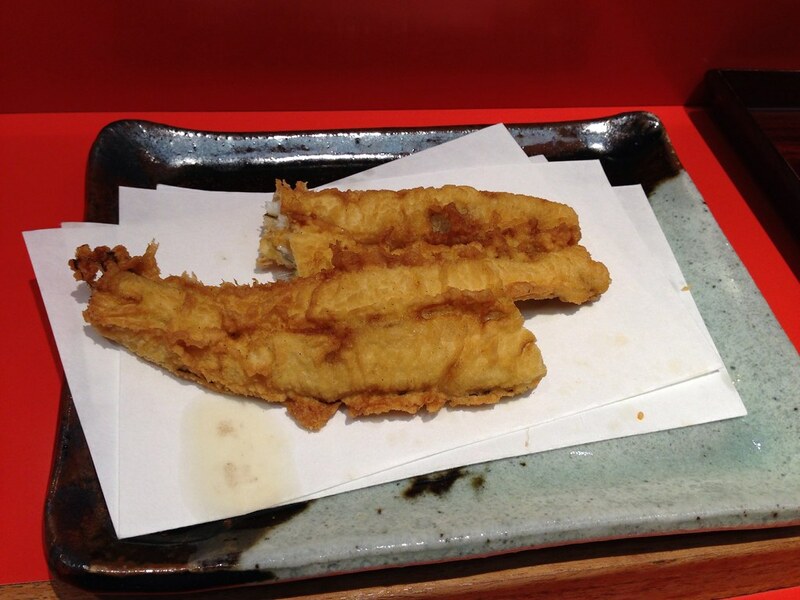 They have a lot of other outlets outside Tokyo as well, and is famous throughout Japan for tempura I guess!